The Jack Orange marijuana´s seeds from GEA Seeds, arrive to delight us with its citric and fruity flavor, good yield, high THC and adaptability to all the types of crop. A strain that will not let you down with unbeatable prices. 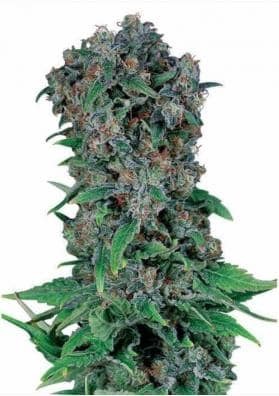 Jack Orange marijuana seeds are the work of the GEA Seeds Bank, which has put its efforts into creating this very well balanced hybrid with 55% sativa. The fruit of the crossing of the famous genetics Jack Herer and his Black kush 98, is a strain that preserves all the characteristics of the Jack Herer, but with orange flavor, a citrus wonder. The Jack Orange retains parents of the family Northern, Skunk, Haze and Afghani, simply there is no failure, it is impossible for anyone to be disappointed with this family genetics. The feminised Jack Orange offers us a lot of positive things apart from its genetic quality, how is it easy to adapt and a good performance. The Jack Orange plant has long stems and its leaves are born in the shape of a fan. Its flowers are spongy and rounded, full of resin. It is recommended to control its growth phase so that it does not stretch too much in the change of cycle. In this way we will avoid problems of height in interiors. It is a very flexible strain, which allows it to adapt to all types of crops. The feminized seeds Jack Orange of Gea Seeds, even being of sativa dominance have a period of flowering very trimmed and you will be able to harvest up to 550 grams per square meter in interiors in a couple of months approximately. If you decide on an outdoor crop, about two weeks before the end of summer, it can produce about 800 grams per plant. The effect of this hybrid, like her, is well compensated as it starts in a totally stimulating way, encourages creativity goes very well to consume accompanied. Then that activity becomes calm, deploying its anti-stress power and leaving you totally relaxed. For these reasons it is advisable to use it to combat migraines and anxiety. From the very strong aroma of this genetics we will notice its spicy and refreshing notes, which will become a fruity flavor, with tropical touches of orange and grapefruit. A delight you can't miss without tasting. Genetics: Jack Herer x Black Kush 98. Flowering: 60-65 days indoors, two weeks before the end of summer outdoors.